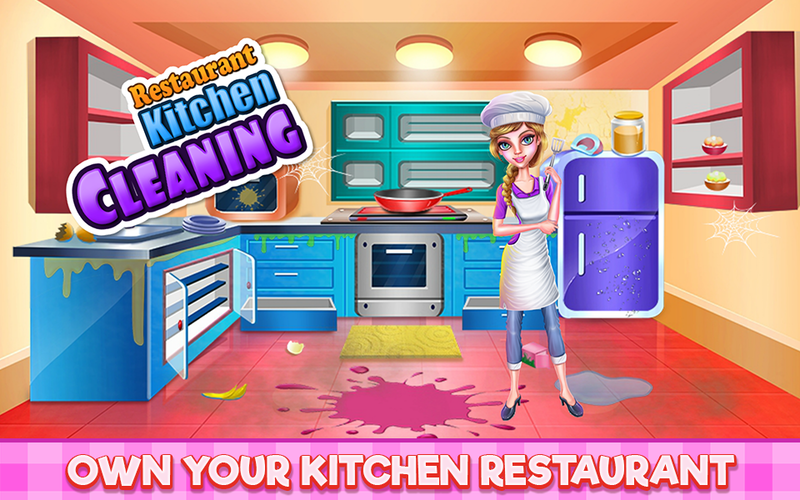 Enter this game and try to beautify a restaurant kitchen where everything seems to be upside down. 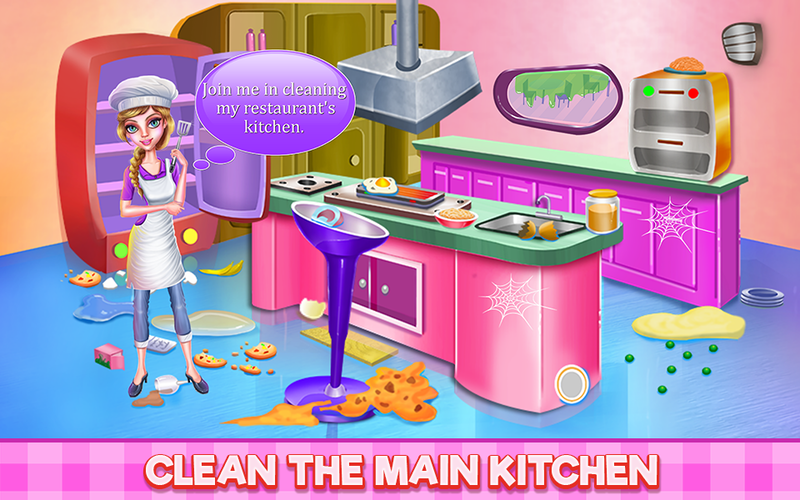 Start your cleaning journey with the first level and fulfill tasks one by one to become a professional kitchen cleaner. 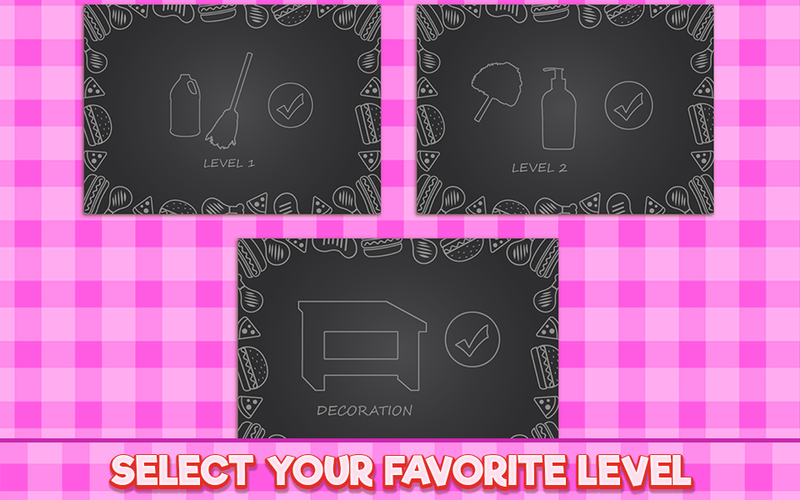 Try to do the requested chores and maybe you will learn something that you could apply in real life. Clean the floors, remove the stains, throw the garbage and then get rid of those stinky leftovers that are spread all over the kitchen. The sink needs your attention as well. Apply the liquid to disinfect and rub the rust out of it. There will be some misplaces things that must be put where they belong. Make sure you have only fresh food in the fridge and put back together the disordered drawers. Move further to the next level and here you will have to do the same, to remove the stains, to disinfect the area and maybe some extra tasks. 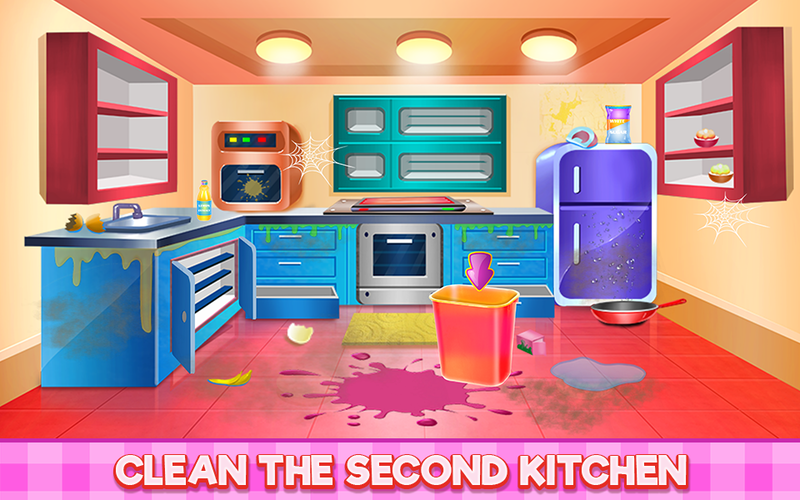 Have an unusual experience with this cleaning game and try to make it appear as a presentable place after you finish both of the cleaning levels. 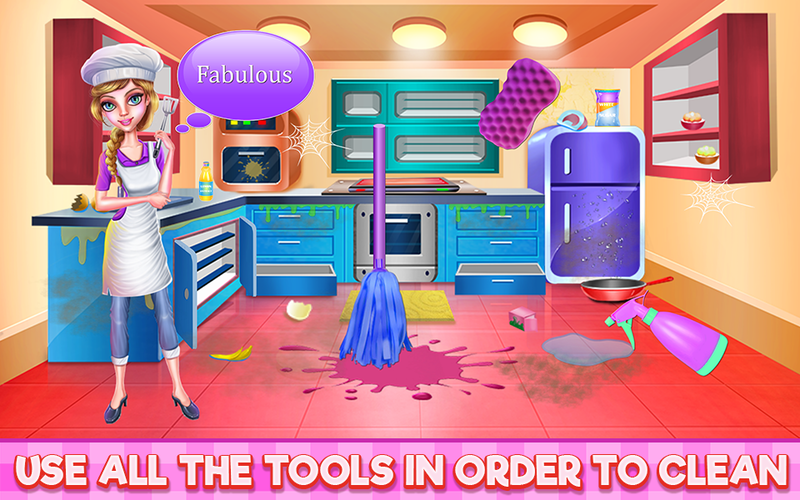 Also, you could decorate the kitchen however you like with colorful devices and modern tools. 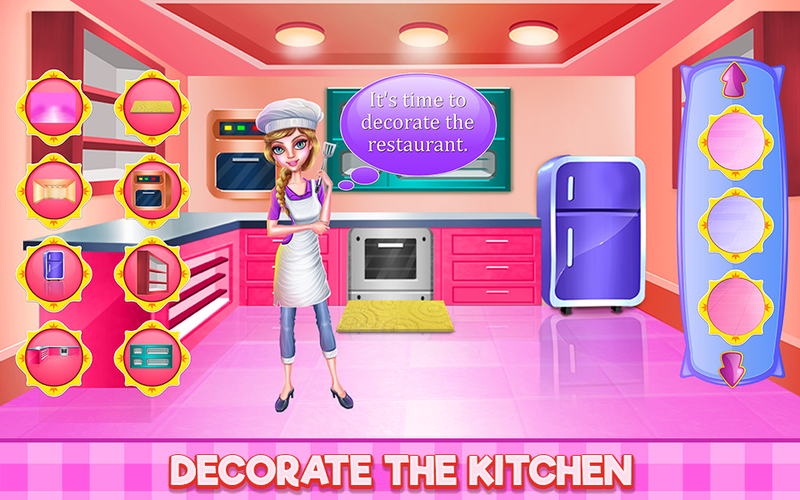 Put everything in order and provide a peaceful atmosphere for this cooking place once the cleaning activities are done.